You've set up your campaigns and are now capturing leads. Now what do you do with them to lead them to lasting customers. 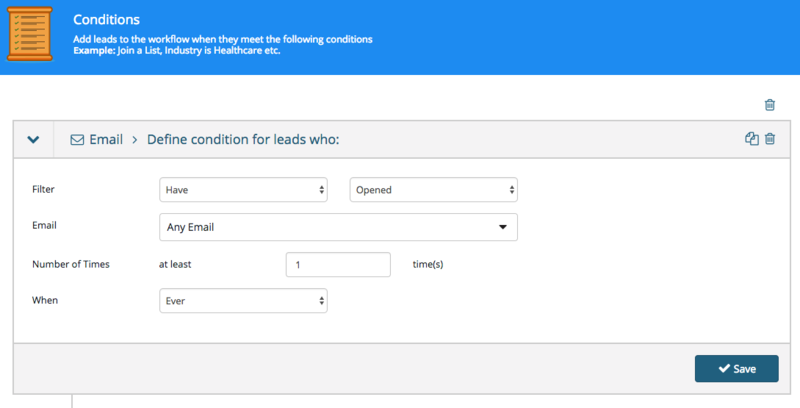 Our automation workflows let you nurture these leads, this guide will provide some examples of common campaigns you can set up to start building a relationship with your new leads. One of the most common automations is the welcome email. Its a must for any on boarding process and helps introduce your product to the new lead. Setting a campaign targeted at people who have added items to their cart, but don't complete the final payment process is a great way to try and win back customers by offering a deal or coupon. Sending a simple email based on lack of activity can remind users to come back to your page. Including a discount or incentive to return with a time sensitive offer can motivate people to return. In Wishpond one way to trigger a lack of activity is using specific page views that have not been visited, as you can then set the number of days since. By knowing the activity your leads have taken on your pages you can send relevant content and product emails. As you continue to send them emails you can build a relationship and further learn the engagement you get from them. 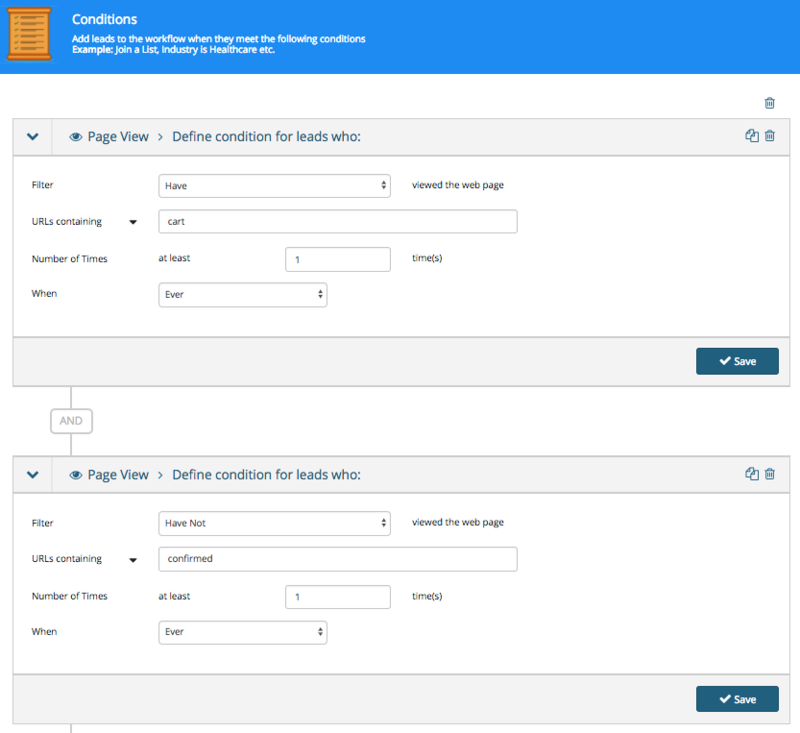 Using the campaign condition you can choose from a number of options, which can provide more information when setting up nurturing workflows. Lead scoring is a great way to benchmark the interaction your leads have had with your campaigns. 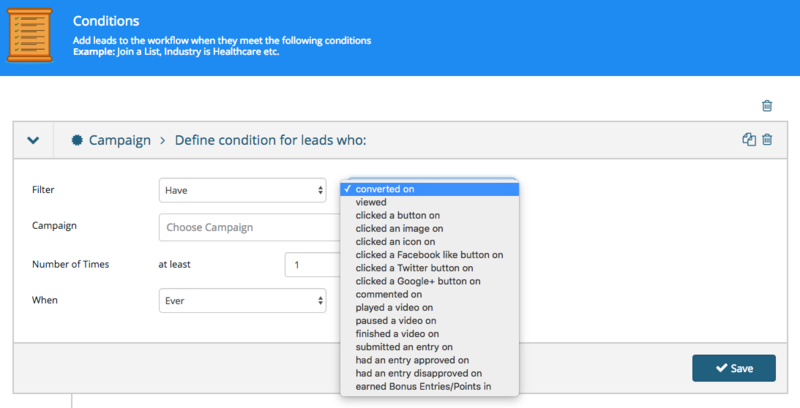 Our automation workflows make it easy to set these up as you can use conditions from your campaign or emails. 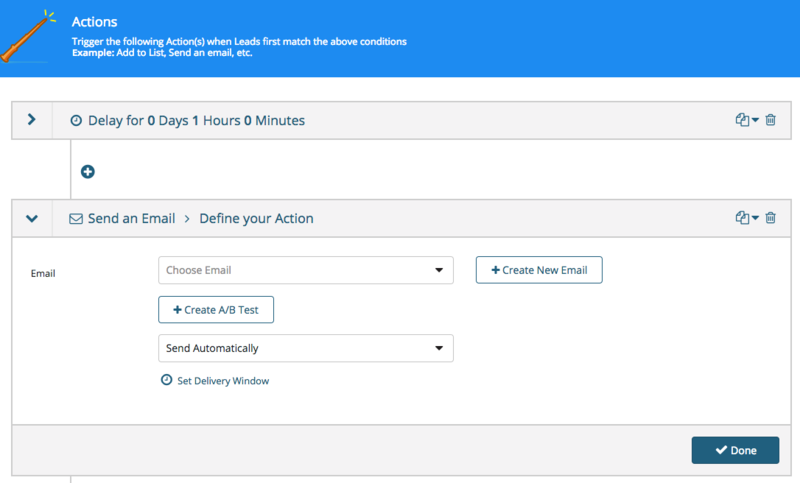 Once this is set up you can nurture leads based on their lead score, for example you could set up another workflow which triggered an email sending to hot leads who had a score of at least 3. These are just a few ways you can utilize automation however feel free to reach out to us with any questions.